Congratulations to School Administrator Alex Bain, who completed the London Marathon for worldwide cancer research. 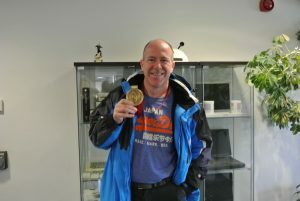 Alex, runner no 5089 is pictured below with his finisher’s medal. Donations to recognise his achievement and preparatory training, can still be made via his Justgiving page.